We understand that when homeowners struggle financially, communities suffer. If you know members of your community who are having a hard time paying their mortgage, please encourage them to visit the Saving My Home section of our website. There is help available. All services are free. Through a variety of grant programs, we fund a network of housing counseling agencies to provide foreclosure prevention counseling. Information and materials for each program can be found below. If you are a housing counseling agency and currently not on our list serve, please send an e-mail to us to be notified when these programs solicit applications for funding (program e-mail addresses are under each respective program tab). The Cook County Mortgage Foreclosure Mediation Program is no longer available as of December 1, 2017. If you need housing counseling or mortgage foreclosure assistance, contact a housing counselor to help you understand what options are available to you. For legal aid resources for homeowners in Cook County click here. Under the Foreclosure Prevention Program Fund (FPP), IHDA provides grants to community based organizations and housing counseling agencies approved by the U.S. Department of Housing and Urban Development for capacity building, operational expenses, pre and post purchase counseling, financial literacy counseling, foreclosure counseling and education, and staff/counselor training. See program rules for further details. IHDA does not directly fund homeowners. If you are a homeowner looking for foreclosure prevention assistance, contact a housing counselor to help you understand what options are available to you. Under the Foreclosure Prevention Program Graduated Fund, IHDA provides grants to housing counseling agencies approved by the U.S. Department of Housing and Urban Development for capacity building, operational expenses, pre and post purchase counseling, financial literacy counseling, foreclosure counseling and education, and staff/counselor training. See program rules for further details. If you have a reverse mortgage, click here to learn how to apply for the new Reverse Mortgage Assistance Program or read the press release. Homeowners who have experienced a 15% reduction in income due to a hardship may be eligible for up to $35,000 in reinstatement and/or ongoing monthly mortgage assistance through the Illinois Hardest Hit Fund®. More information about applying for Hardest Hit Fund is available at illinoishardesthit.org. 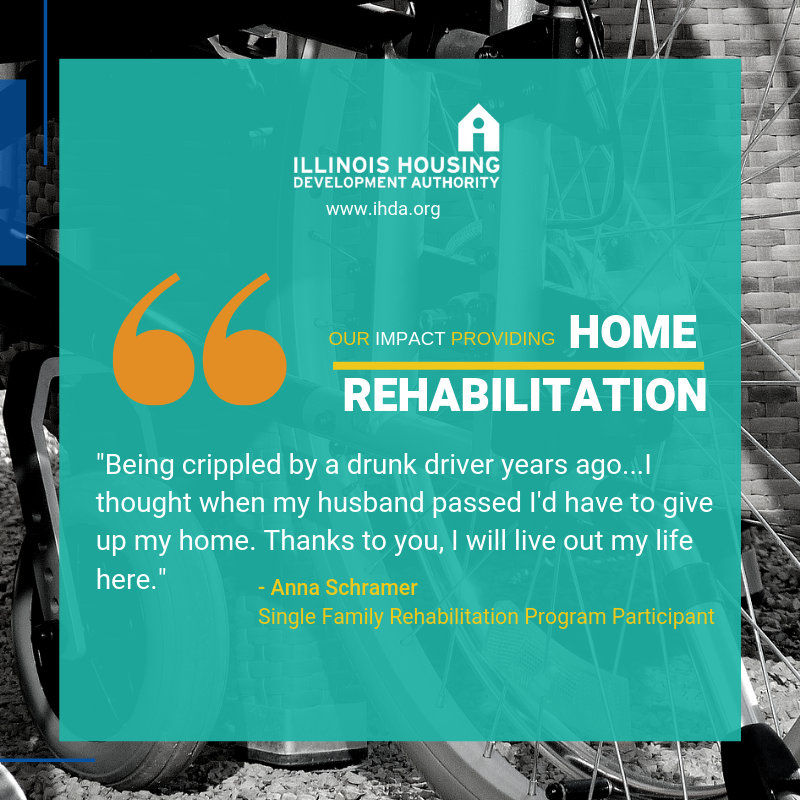 To help generate awareness about the Illinois Hardest Hit Program throughout Illinois, IHDA has created HHF flyers for you to utilize. Project Reinvest: Financial Capability (PRFC) is a NeighborWorks funded program whose funds are primarily intended to help individuals who are at risk of foreclosure, recovering from a foreclosure or residents in distressed communities rebuilding after the foreclosure crisis. PRFC will assist clients to stabilize their finances, rebuild their credit, and help them establish savings for the long-term. IHDA does not directly fund residents. If you are a resident looking for assistance, contact a housing counselor to help you understand what options are available to you.